A fabulous winter morning at Loch Clair on a clear day. Although I would normally prefer to see clouds in the sky. It is often the case that a clear morning sky will reveal the Earths shadow creeping down toward the horizon and projected onto a pink sky. 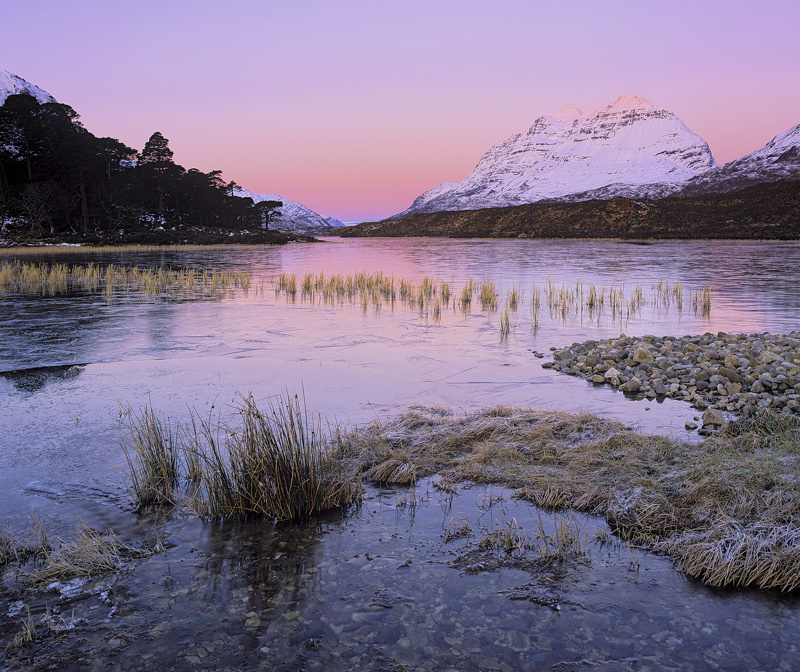 On this particular morning the crystal clear conditions and total lack of wind ensured a reflection on the part frozen loch and with Liathach covered top to toe in snow I knew we were on for something a little bit special.